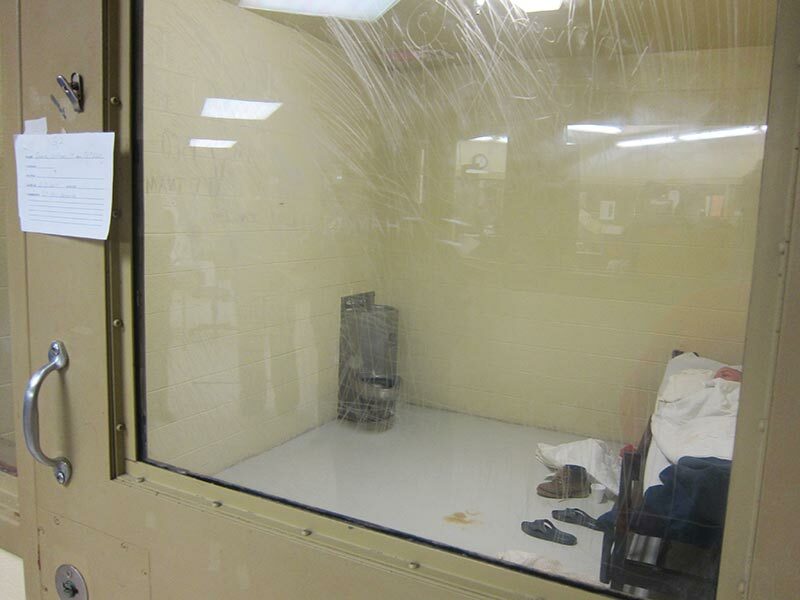 A prisoner rests in a suicide-watch cell at the Bibb Correctional Facility. Often, the only contact state prisoners have with a mental health professional is when they are exhibiting suicidal thoughts or actions. Even then, the contact is minimal.